This year we are growing the roles of our House Captains and developing links to charities. Our House Captains were tasked with each researching two charities that they felt we could support. They then presented to the Senior Leadership Team to make a final decision. Confidence – UNICEF, a charity focused on supporting Children’s Rights. Diversity – Hong Kong Seeing Eye Dog Services, a charity supporting the training of dogs and services for the visually impaired. Happiness – Action Sports Foundation, a local charity which enables the underprivileged to access sports programmes. Inclusivity – Lok Sin Tong, a local charity which provides educational, medical, elderly care and social services in HK. 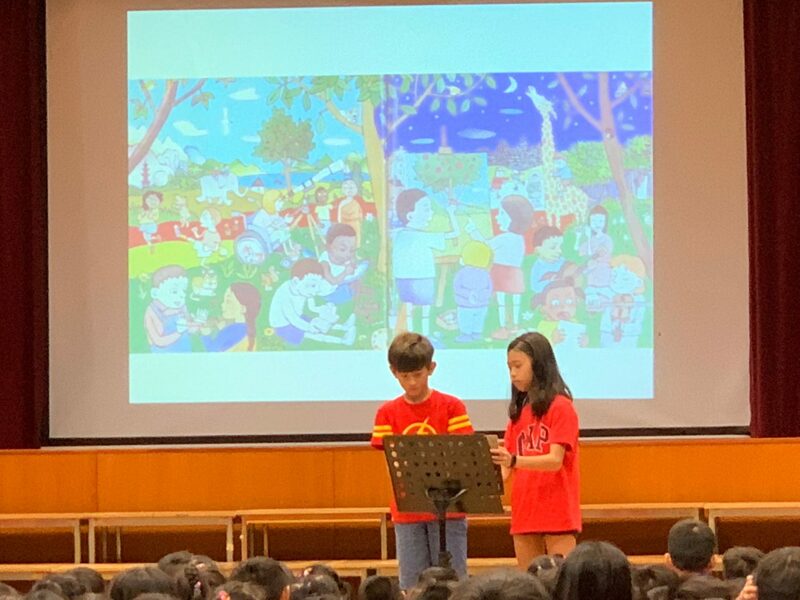 In assembly today, Ryan & Hena shared why UNICEF was their chosen charity. They shared with the children a brief history of UNICEF and what they do to support children’s rights. 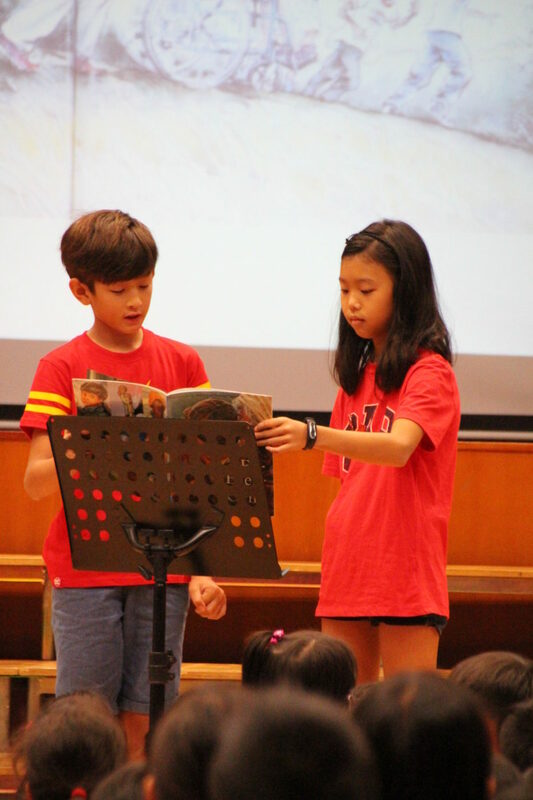 They read the story ‘For Every Child’ by Caroline Castle in association with UNICEF. 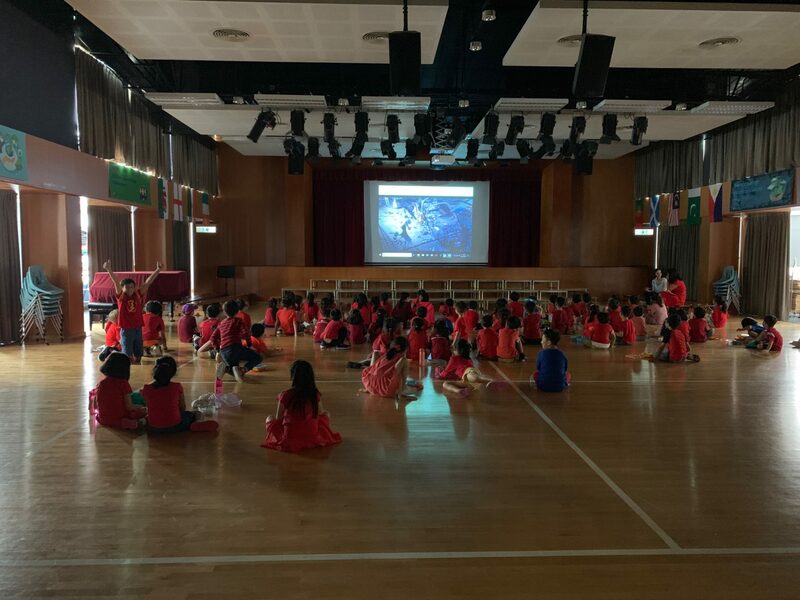 Ryan and Hena also organised a lunchtime movie for all children in Confidence house. This was a lovely opportunity for the children to mix with other children from across the school. Well done Ryan and Hena for all their hard work and preparation. 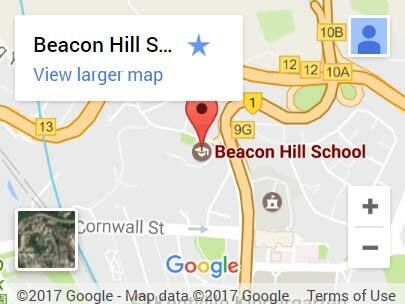 Year 2 & 3 Parents, you will access your child’s UOI report from the Beacon. Please remember to share this with your child also. 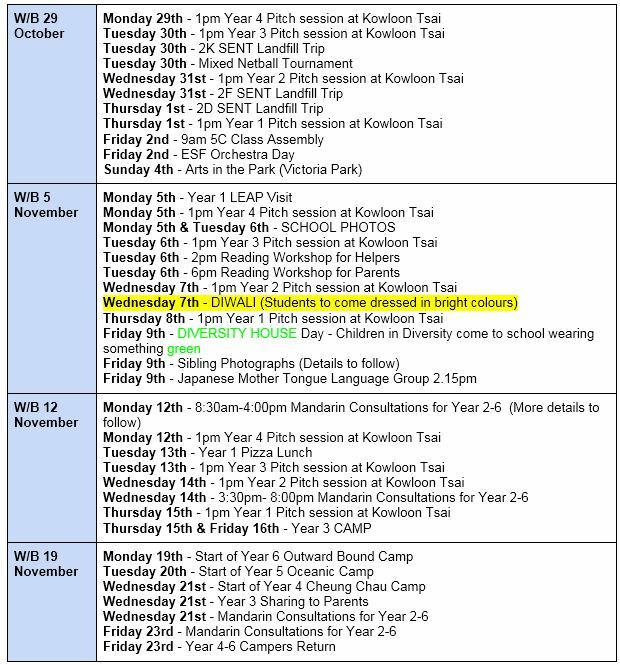 Year 1 Parents, your child’s report will be available at the end of Term 1. This week, Katelyn, one of our Diversity House Captains shared how ‘Be Active’ is an important aspect of Wellbeing. 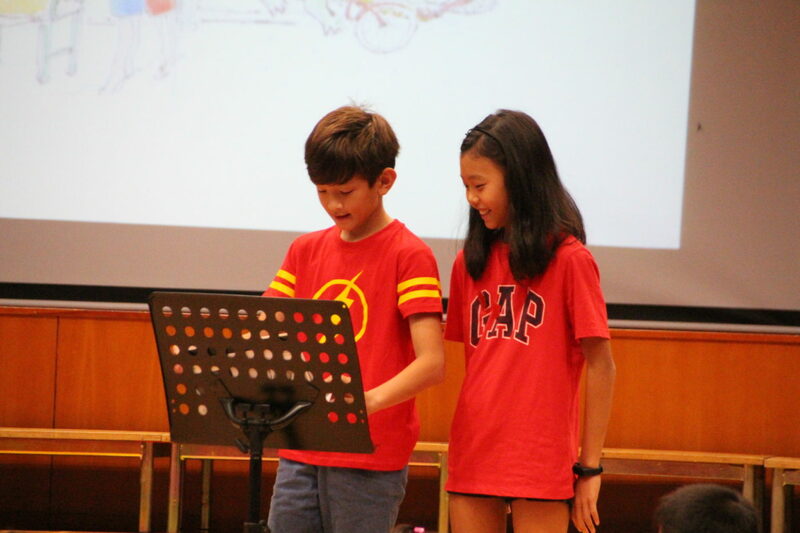 Katelyn told the students how she likes to be active by taking part in different indoor and outdoor activities. Exercise plays an important part in our wellbeing, both physical and mental. Exercising releases dopamine and serotonin which both contribute to feeling good! Exercise is also intrinsic in improving brain function; when we exercise the chemicals we need for creating and strengthening the connections between neurons in the brain are released and when new connections are made in the brain, we learn! 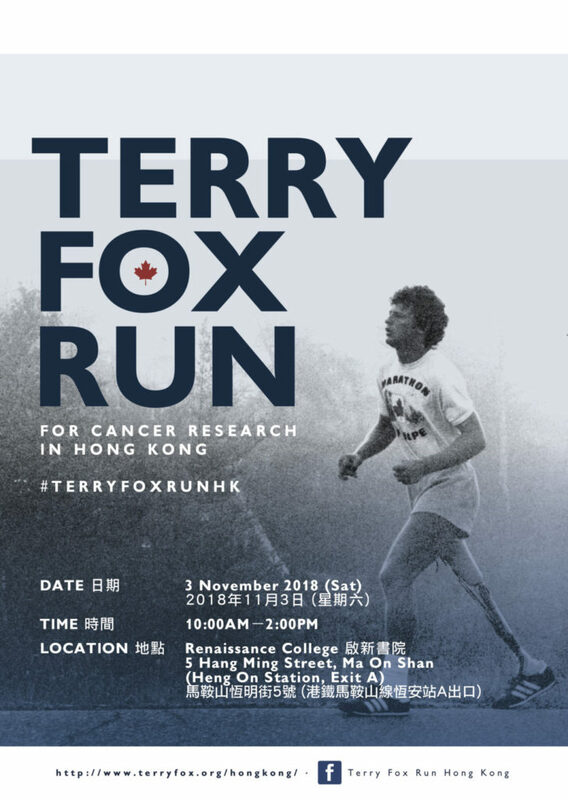 Now that the weather is much cooler, perhaps families might explore parts of the Hong Kong hiking trails. There are many trails of varied levels of difficulty and durations. 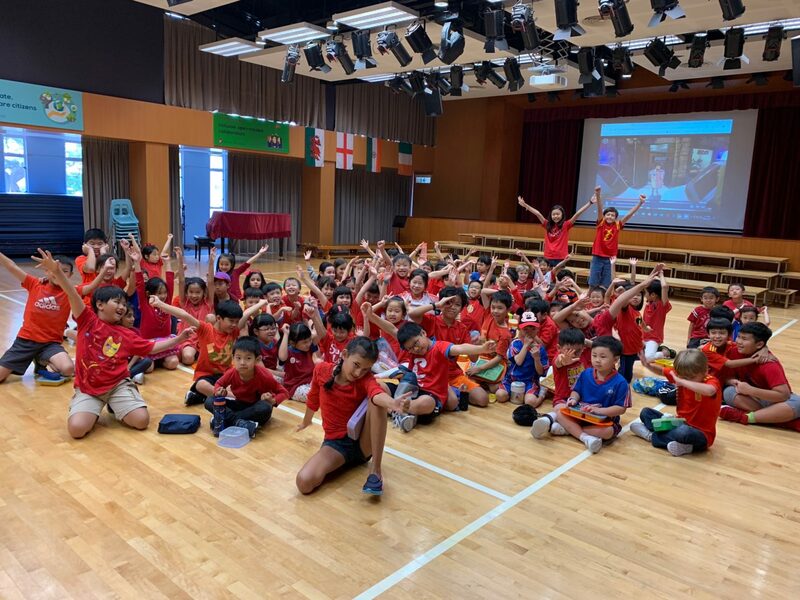 The children had a great time last Monday talking about and role playing one of the many stories in ‘Journey to the West’. Next week we will continue our fun ‘journey’ this time with another story about Monkey King. Do you know a Princess with a magic banana-leaf shaped fan made of iron? This powerful fan can put out fire from a monstrous volcano!! She also has a husband who can morph into a powerful white bull. Come and find out how our hero Monkey King defeat this power couple and help his fellowship continue with their journey. Also, would you like to act as one of the characters? We would love to see many of our talented little performers. Our BHS Community Choir has resumed with the first session last night. This is open to all parents of BHS students and to BHS Staff. The choir will be rehearsing on Thursday evenings from 7pm. We would hope to perform at the BHS Christmas Concert. No auditions or previous singing experience – just lots of enthusiasm needed! 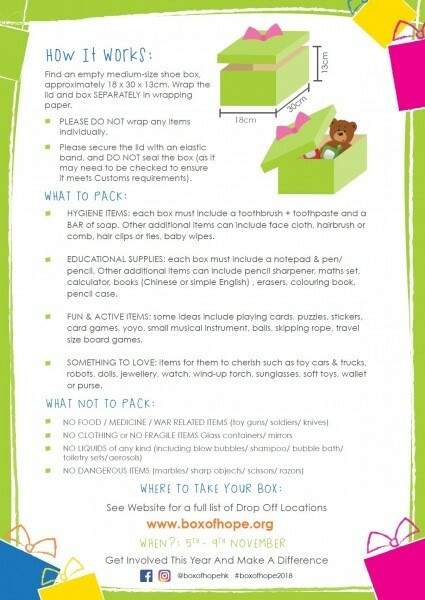 The deadline for the collection of all boxes is Monday 19th November. 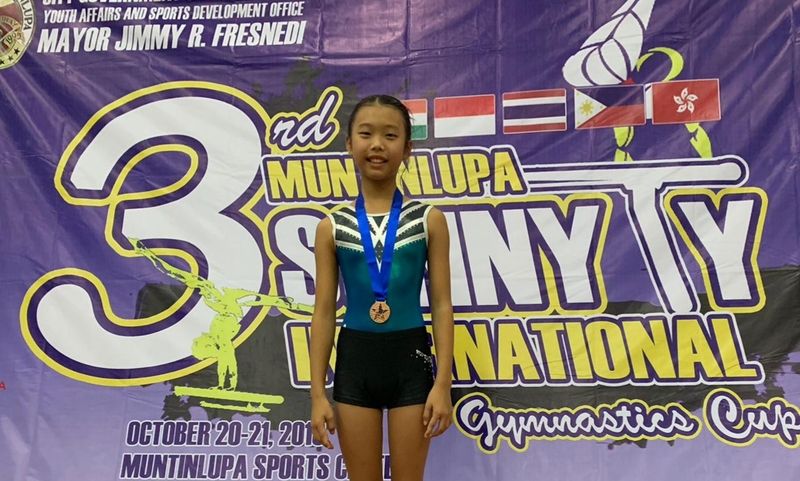 Congratulations to Hena Yang (6D) who participated the the 3rd Sonny Ty International Gymnastics Cup competition held in Manila, Philippines on 20 October. 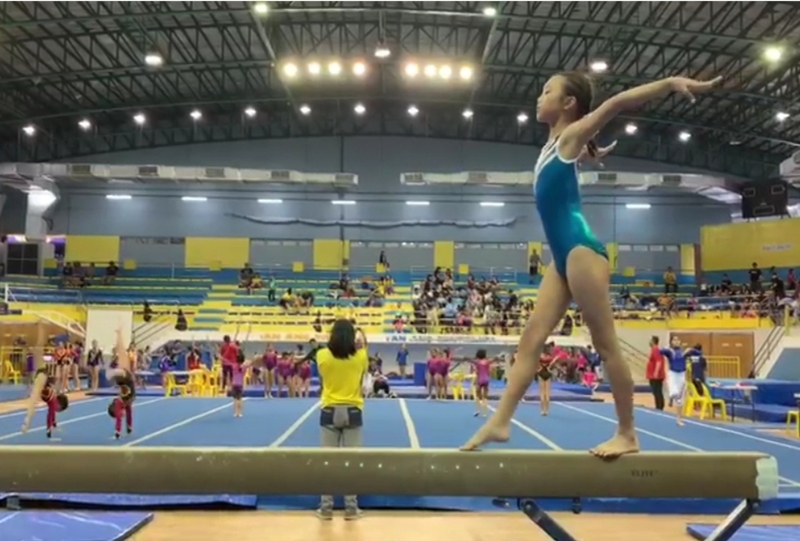 50 gymnasts from HK, Philippines, Thailand, India, and Indonesia competed at the competition, for “Level 3” winners who are 10-11 years old. They performed in Floor, Vault, Beam, and Bar. Hena undertook months of preparation and she was awarded 3rd place on “Beam”. This is Hena’s first participation in an international competition, and we are so proud of her achievement. Congratulations Hena on your Bronze Medal! 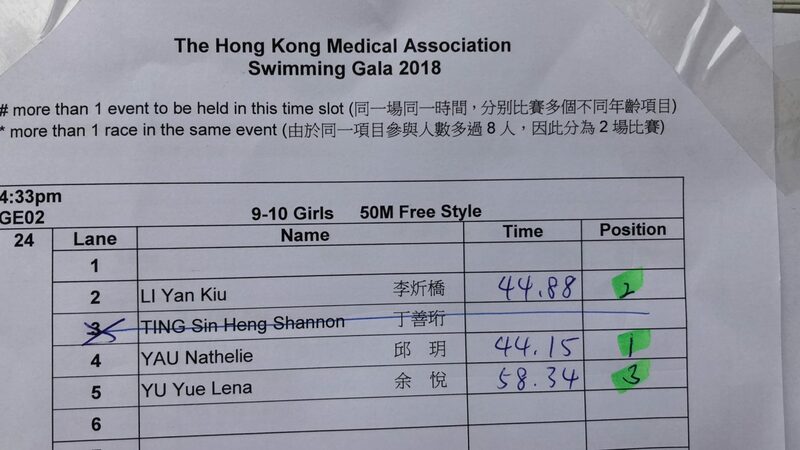 On 14th October, Nathan (4W) and Nathelie Yau (6H) participated in the swimming gala organised by the Hong Kong Medical Association. 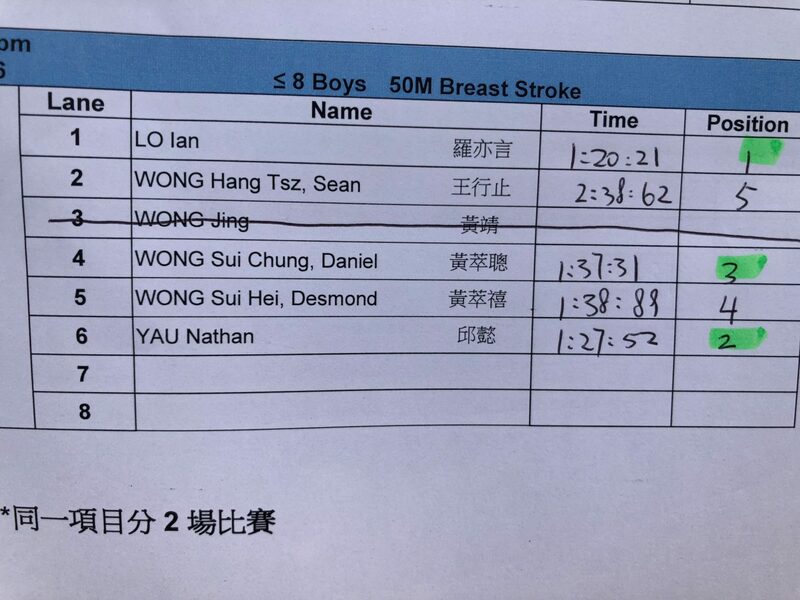 It was the first time for Nathan to swim competitively and he earned his first silver medal in 50m Breast Stroke Boys 8 and Under. Well done to both kids! 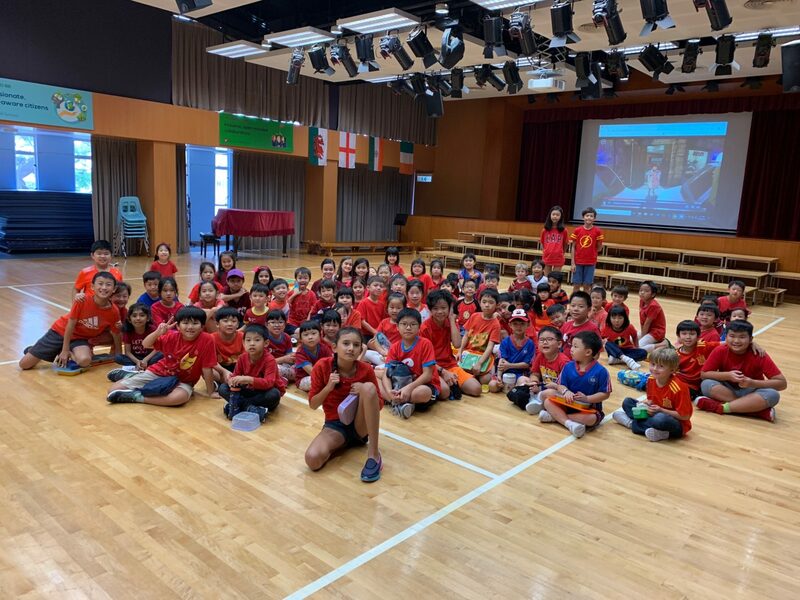 A few days ago, Jana (2K) and Nathan Hau (4W) spent a great day with their family visiting the elderly and brought them resources such as food and grocery on behalf of an NGO. This is the second year that they have participated in this event and they both found it absolutely meaningful! Although Jana and Nathan felt a bit challenged when communicating with the elderly, they tried really hard to find their own ways to interact with the elderly. They managed to find out a lot about mah jong! Great job guys! 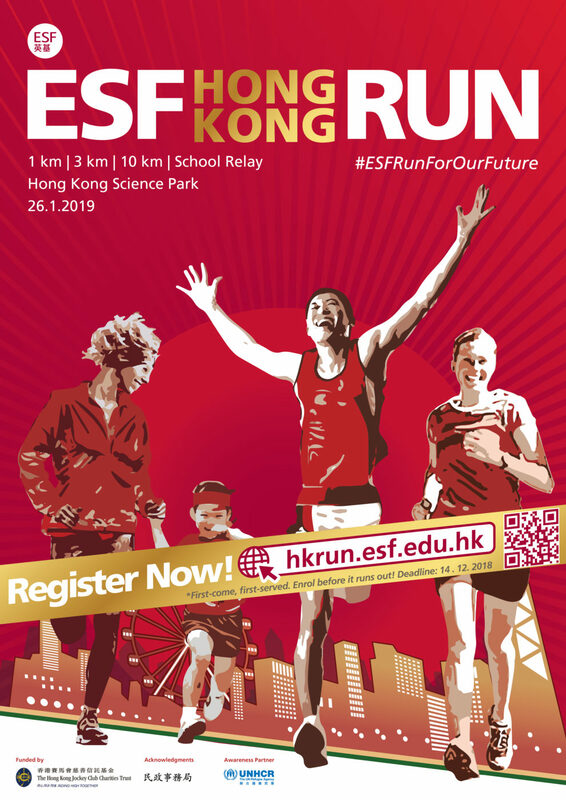 All sessions will be held at Kowloon Tsai Park. 4.45pm pick up at school. Thank you to everyone who attended the AGM. It was great to see a few new faces, welcome aboard. Our next PTA meeting shall be on 8 November at 12:45 in the Conference Room. Deadline for November order has passed. DCK will not accept any more orders for November. A reminder that order forms will only be provided to students with existing accounts. If you are not one of those and wish to be included in the December order please contact DCK directly on 2464-1838. To order, please fill in the form then your child can hand the cheque into reception. Upon receipt of cheque your order will be processed and sent direct to classroom. Unfortunately our suppliers have still not been able to deliver PE jackets & long bottoms, fleeces and windbreaker. They have advised delivery will be some time in November. There is limited stock still available in the larger sizes. For orders which have been placed we shall continue to process them. Where items are out of stock your receipt will be marked up with ‘OS’ and these items will be sent direct to classroom as soon as we receive them. All documents submitted by parents or guardians for Immunization (Part One), they will be returned to your child (together with any instructions for you to follow-up, if applicable) via their class teachers or their educational assistants the week starting Monday 29 October 2018.